We had the privilege of having Carol join us today. 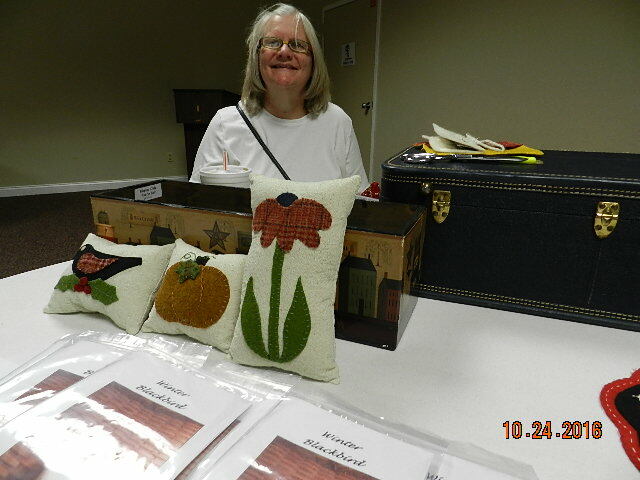 She brought three original designs for us to choose to make either a pin cushion or a small pillow. Patterns and personal instruction were provide by Carol. As we began the project, Carol circulated throughout the room checking our status and providing very helpful suggestions. A good time was had by all. 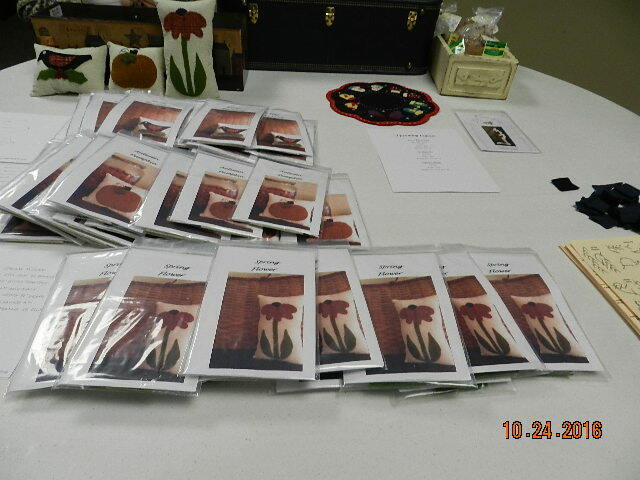 A thank you to Carol for taking the time to provide our October program.